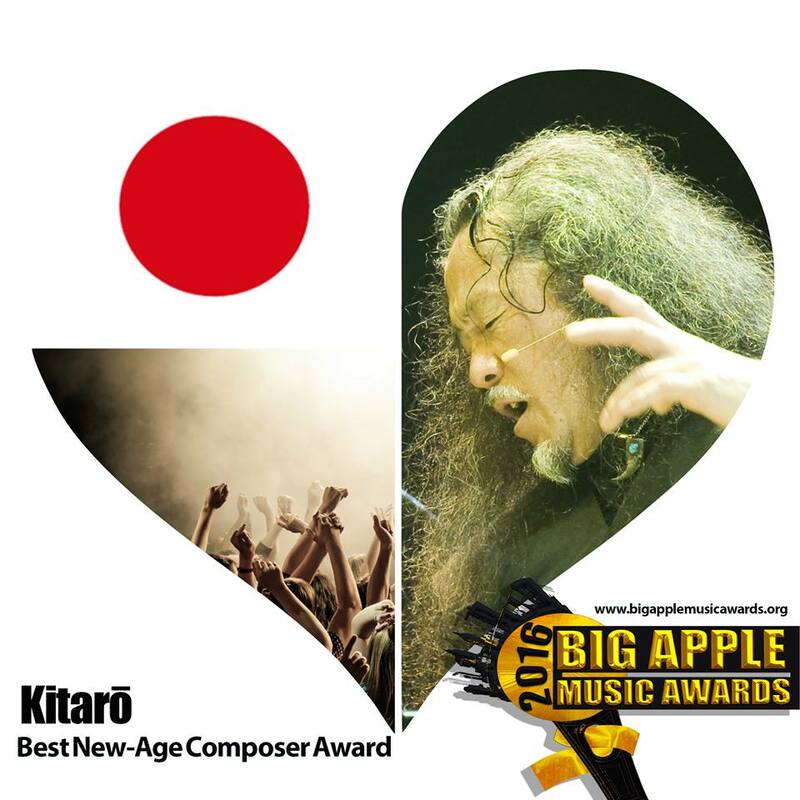 Kitaro has been nominated for the “Best New-Age Composer Award” at the Big Apple Music Awards 2016 and he will perform live on stage at the Madinat Jumeirah Dubai on September 23! ​​The Big Apple Music Awards Foundation is a unique, multinational membership-based association composed of music industry professionals, musicians, producers, engineers and other creative and technical recording professionals who are dedicated to improving the quality of life and the cultural condition for Central Asian, Caucasian and Middle Eastern music and its makers both inside and outside the United States. The Big Apple Music Awards is an annual event in New York City that celebrates international music from Central Asia, Caucasus and Middle East. The Awards, the largest event of its kind, has sold out for years, thanks to live performances by multi-platinum selling artists from across the globe. This year’s sixteen awardees are all multi-platinum selling artists and household names in their native countries, with fan bases all over the world. In 2016, the Big Apple Music Awards will take place in Dubai. Marking the 30th anniversary of its debut, this reissue of Kitaro’s critically acclaimed album “Tenku” has been newly remastered from the original source tapes. “Tenku”, which translated means “Heavenly Sky”, refers to time spent at his 200-year-old farmhouse in the Japanese Alps, where the album was recorded. 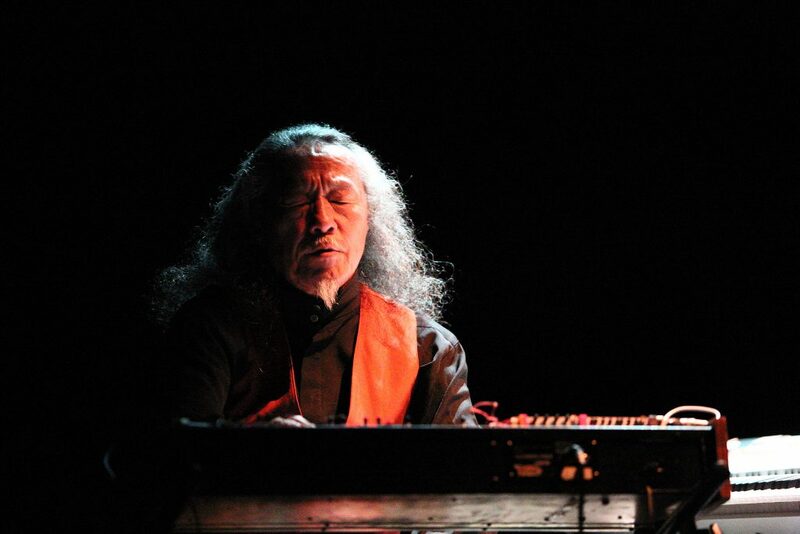 The album became a defining moment in Kitaro’s career, which soon afterwards became his first conceptual album that introduced him to an international audience. For what is certainly an otherworldly experience; Tenku is a collection of dreamy compositions full of soft Japanese melodies with a hint of melancholy. Kitaro’s immaculate synthesizer technique produces a nuanced yet bold atmosphere that is truly one of a kind. Now, we are offering a special discounted price of $9.99 for CD! 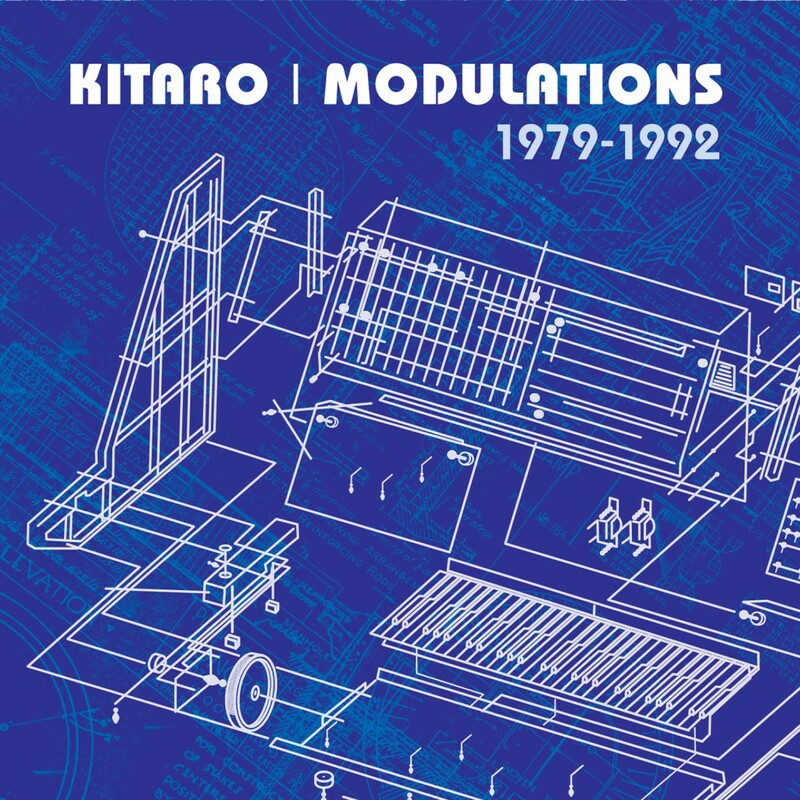 Modulations 1979-1992 is a finely curated, retrospective collection of Kitaro’s most well-known, early compositions. This exquisite and timeless assortment of songs includes music from the acclaimed “Silk Road” documentary, the Grammy-nominated track “The Field” as well as fan favorites “Aqua”, “Oasis” and “Koi”. 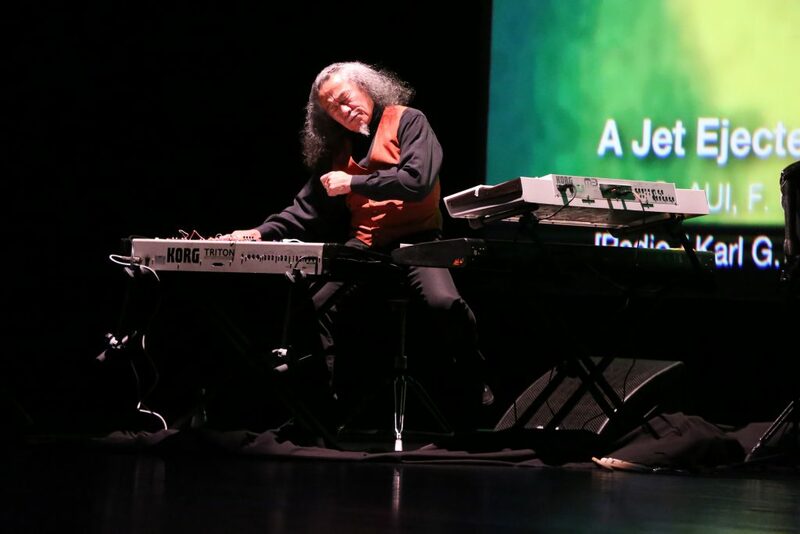 As a Grammy and Golden Globe award-winning artist, Kitaro has earned international and worldwide acclaim as a founder of a musical movement now known as New Age. For more than 30 years, through timeless music, Kitaro has taken his inspirational messages to millions of fans all over the world, proving that music is truly a medium without borders and boundaries. Presenting a totally unique visual experience, the video presentation of “Kojiki and The Universe” merges Kitaro’s Grammy nominated music from the album “Kojiki" with space-age photographic scenes of the Universe. 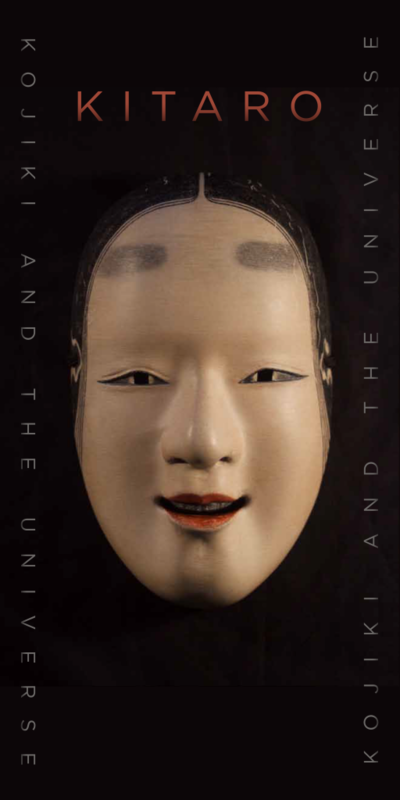 "Kojiki and The Universe" features time-lapse images, expertly intertwined with real-time films provided by and in cooperation with NASA and Kyoto University. Created by Kitaro in collaboration with Astronomy Professor Kazunari Shibata, the entire production was developed using modern film editing techniques, as well as state-of-the-art hardware and software. In Japanese mythology, Kojiki is a story closely related to evolution of the universe. It describes the origin of Heaven, Earth and the creation of the Gods. Utilizing Kitaro’s “Kojiki" score as the soundtrack, “Kojiki and The Universe” is a chronicle of astronomical research as well as a beautiful introduction to modern astronomy for everyone. Los Angeles, CA (Sept 2016) – The liner notes from Domo Music Group’s upcoming release, Kitaro’s “Kojiki and The Universe” tell the tale of an amazing artist and a shared journey. “I (Kazunari Shibata) first met Kitaro on Feb 7, 2012, the same year as the first annular solar eclipse to be observed in Kyoto for 282 years. It was a journalist, Ms. Sachiko Tamashige, who brought Kitaro to Kwasan Observatory of Kyoto University to introduce him to me. I gave them a tour of the observatory, introducing the historical buildings, telescopes, and instruments of Kwasan Observatory including the oldest actively-used telescope in Japan, the Sartorius telescope; as well as real time H-alpha solar images. Kitaro enjoyed the short tour of Kwasan Observatory very much, and I found that he really has a great love for astronomy and the universe. It was at this time that we agreed to perform a collaboration at Kyoto University on the day of the annular solar eclipse, May 21, 2012. “Kojiki and The Universe”, an experiment in merging music (Kitaro’s ‘Kojiki’) and movies of the universe, was developed for this collaborative event, and was actually presented in the clock tower hall of Kyoto University after the annular solar eclipse. At that time, the timing of the music and movies were matched using power-point editing software, and the timing was sometimes not necessarily exact. Therefore, I then asked Ms. Tamaki Motoki and Mr. Masashi Iwakura to edit “Kojiki and The Universe” using modern movie-editing software and hardware. Dr. Keisuke Nishida also played an important role with this editing. This newly-edited version was presented after Kitaro’s live performance of a part of ‘Kojiki’ during the symposium entitled ‘Kojiki and The Universe’ that was held in Yamato-Koriyama city of Nara prefecture on Nov 24, 2012. Yamato-Koriyama is the city where the Kojiki myth was written 1300 years ago. This video is based on the version for the Yamato-Koriyama city symposium with some further editing. Especially the last chapter “Reimei” has been completely revised for the international version in which a history of astronomy, space science and engineering around the world is introduced. The Kojiki myth is a story closely related to the universe, since it describes the origin of Heaven and Earth (i.e., The Universe), the creation of the Gods and all things. Part of this myth, the Ama-no-Iwato (“heavenly rock cave”) story, can be interpreted as describing an ancient total solar eclipse. 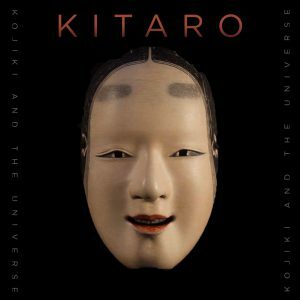 Kitaro’s “Kojiki” interprets this story of the universe with beautiful sound and melody. The movies and images of the universe presented in this video are all selected based on inspiration from Kitaro’s “Kojiki” and considering the contents of the story of Kojiki. All movies and images of the universe we present here are not only beautiful but also important from the viewpoint of astronomical research, and hence this video is useful as an introduction to modern astronomy. Kitaro has performed all over the world many times. Grammy and Golden Globe-winning Artist Kitaro received his 16th Grammy Nomination for a project recorded LIVE with a full-orchestra entitled, Kitaro – “Symphony Live in Istanbul” in 2015. Kitaro – “Symphony Live in Istanbul” was recorded live at the Halic Congress Center in Istanbul, Turkey over two evenings in March of 2014. Grammy and Golden Globe winning artist Kitaro’s “Symphony Live in Istanbul” is breathtaking. The album features new musical material while also including eight of the acclaimed artist’s most requested and popular compositions. This amazing performance marked Kitaro’s first-ever recording for Domo Music Group, which balances the artist’s signature sound and expands it to new heights with the addition of a full live symphony orchestra. The album included Kitaro’s Golden Globe award-winning theme from the Oliver Stone film “Heaven & Earth,” music from his critically acclaimed “Kojiki” album and “Silk Road” soundtrack as well as two compositions from his Grammy award-winning album “Thinking of You”. New material includes a previously unreleased composition, “Kokoro (Part II)”. To Be Released on April 21st folfollowing on the Heels of the Multiple Grammy Nominated Volumes 1-4 Kitaro’s new DVD, Kojiki and the Universe is an experiment in merging music with movies of the Universe. Always the innovator, Kitaro will tour the globe in 2017 beginning with an intimate concert on April 20 in San Rafael, California. International performances will then commence in London, Istanbul, Ankara Turkey, Brasov Romania, Bucharest, Sibiu and Sofia. Simultaneously, the Grammy and Golden Globe winning artist is release two new projects, the tour inspired DVD, Kojiki And The Universe and a new music, Sacred Journey of Ku-Kai Volume 5. Presenting a totally unique visual experience, the LIVE in CONCERT presentation of “Kojiki and The Universe” merges Kitaro’s Grammy nominated music from the album “Kojiki” with dynamic space-age photographic scenes of the Universe. “Kojiki and The Universe LIVE” features time- lapse images, expertly intertwined with real-time films provided by and in cooperation with NASA and Kyoto University. The debut of the LIVE concert experience in San Rafael will offer exclusive and access to the artists via a KITARO VIP EXPERIENCE which includes Gold Circle seating, an intimate wine and cheese post-concert reception with Kitaro, an autographed tour poster, a Kojiki & The Universe DVD signed by the artist and personally autographed copy of Kitaro’s newest Domo Music CD release, Sacred Journey of Ku-Kai Volume 5. Created by Kitaro in collaboration with Astronomy Professor Kazunari Shibata, the entire DVD production of Kojiki and the Universe was developed using modern film editing techniques, as well as state-of-the-art hardware and software. Utilizing Kitaro’s “Kojiki” score as the soundtrack, “Kojiki and The Universe” is a chronicle of astronomical research as well as a beautiful introduction to modern astronomy for everyone. Also released on April 21st, Kitaro’s Sacred Journey Of Ku-Kai Volume 5 follows the highly acclaimed Volumes 1-4 of the series, all of which have earned the artist Grammy nominations. Having received Grammy nomination for volumes 1-4, Volume 5 is presented by Kitaro’s long- time label, the Domo Music Group. The Ku-Kai series concept arose after the global events on the fateful day of September 11, 2001. Kitaro was traveling on a jet from Japan to Los Angeles when the transcontinental flight was diverted to Hawaii for 5 days due to the tragedy. It was during this time of disbelief and uncertainty that Kitaro envisioned the Ku-Kai series as a means of uniting the world through music embracing his frequently referenced universal message of peace. The Sacred Journey of Ku-Kai series is an earthly voyage that transports the listener to the eighty-eight sacred temples located on Shikoku Island in Japan, ancestral home of the beloved Buddhist holy man Ku-kai. The music, which pays homage to the true to life excursion made over 1100 years ago on Shikoku Island endures to this day. Each track on the album revolves around the unique bell sound from the individual temples, using actual sampling and Kitaro’s inspired musical interpretations and distillations of their essences. The Ku-Kai series is comprised of “Sacred Journey Of Ku-Kai Vol. 1” in 2003, “Sacred Journey Of Ku-Kai Vol. 2” in 2005, “Sacred Journey Of Ku-Kai Vol. 3” in 2007, and “Sacred Journey Of Ku-Kai Vol. 4” in 2010. The global admiration for Kitaro and his music that unites the world is, of all things, real and constant. 5/2 BRASOV, Romania Tickets will be available soon. 5/4 BUCHAREST, Romania Tickets will be available soon. 5/6 SIBIU, Romania Tickets will be available soon. KITARO 2017 Kojiki Tour Video With Poster Graphics from Hands On Productions on Vimeo. KITARO'S NEW SACRED JOURNEY OF KU-KAI VOL. 5 TO BE RELEASED ON APRIL 21ST, 2017. 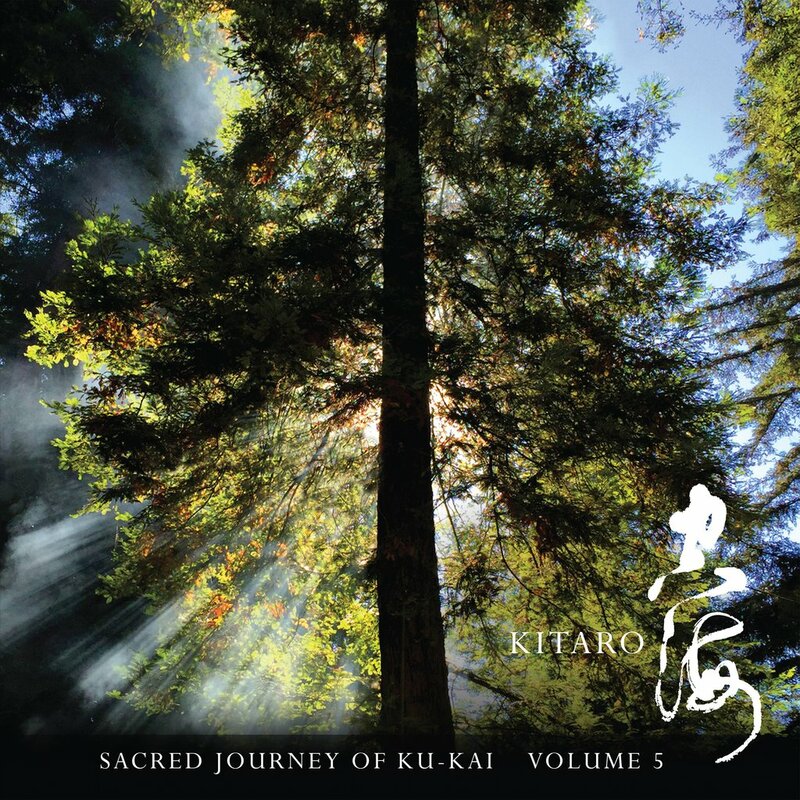 Kitaro’s Sacred Journey Of Ku-Kai Volume 5 follows the highly acclaimed Volumes 1 through 4 of the series, all of which have earned Grammy nominations. Kitaro was traveling on a jet from Japan to Los Angeles when the transcontinental flight was diverted to Hawaii for five days due to the tragedy. The Sacred Journey Of Ku-Kai series is an earthly voyage that transports the listener to Shikoku, Japan. It pays homage to the beloved Buddhist holy man Ku-Kai who traveled the 750 mile long pilgrimage to the eight-eight sacred temples on the island over 1100 years ago. Each track on the album revolves around an audio sample of the bell sound from each temple. 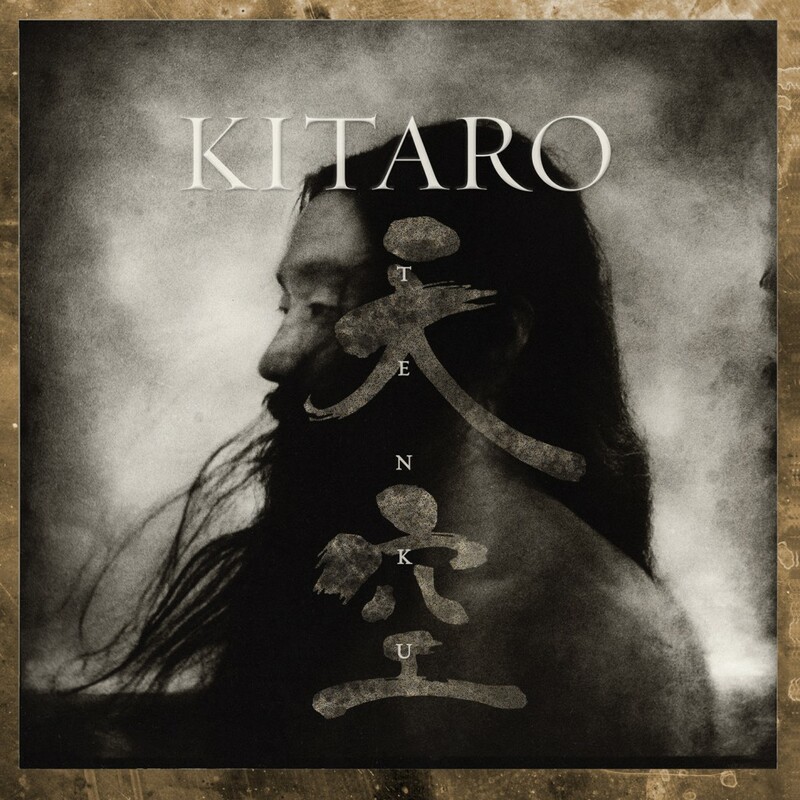 With these bell sounds, Kitaro distills their essences with inspired musical interpretations. Kitaro, whose international “Kojiki & The Universe” Tour has played to capacity audiences this year in such diverse locations as London, Istanbul and Romania, now returns to the West Coast with a unique tour of sacred venues, including the iconic Grace Cathedral in San Francisco, where historic sacred jazz concerts by legends Duke Ellington and Vince Guaraldi have been recorded and etched into the fabric of musical folklore. 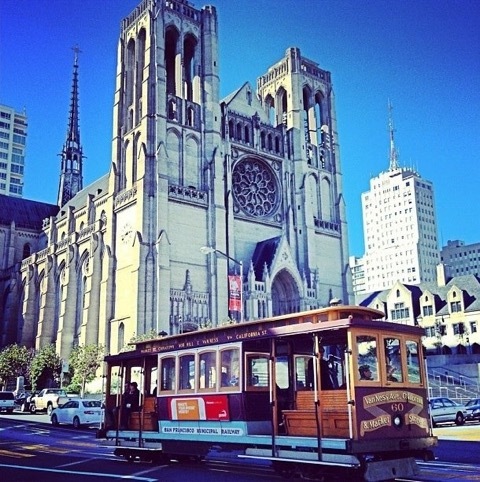 Tickets for the Grace Cathedral concert on Sale Now. Presenting a totally unique visual experience, the LIVE in CONCERT presentation of “Kojiki and The Universe” merges Kitaro’s Grammy nominated music from the album “Kojiki” with space-age photographic scenes of the Universe. “Kojiki and The Universe LIVE” features time-lapse images, expertly intertwined with real-time films provided by and in cooperation with Kyoto University’s Astronomy Professor Kazunari Shibata. NASA, and The Hubble Space Telescope. 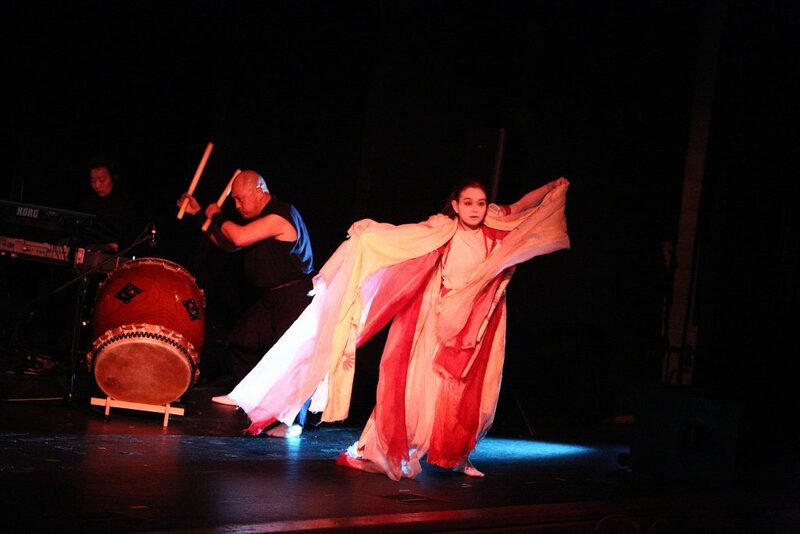 Taiko drumming and Butoh dancing enriches this program. 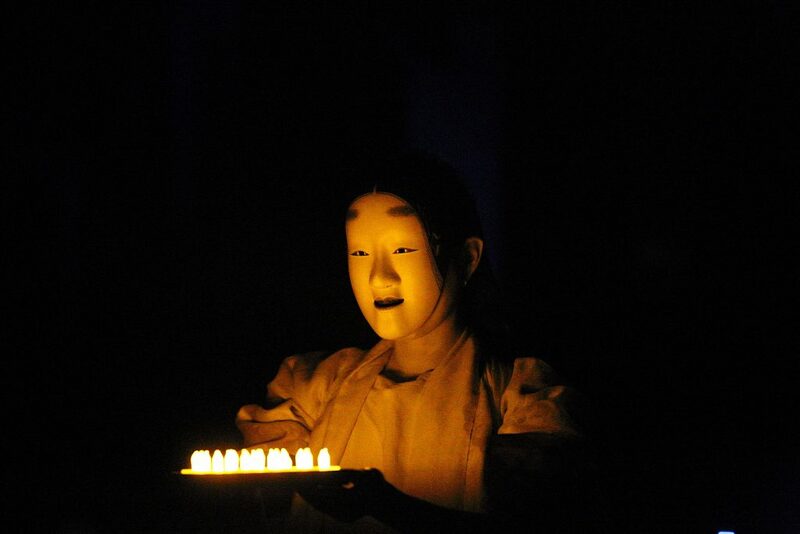 An inner journey of the soul featuring Kitaro performing his music with the mysterious and evocative Butoh dancing of Aya Irizuki accompanied by Tenrin Taiko company and violin soloist DeLaney. Kitaro journeys us to outer space and beyond with music and simulation and original NASA, Hubble Space Telescope and simulation images all set to the mythology of Kojiki. It describes the origin of Heaven, Earth and the creation of the Gods. 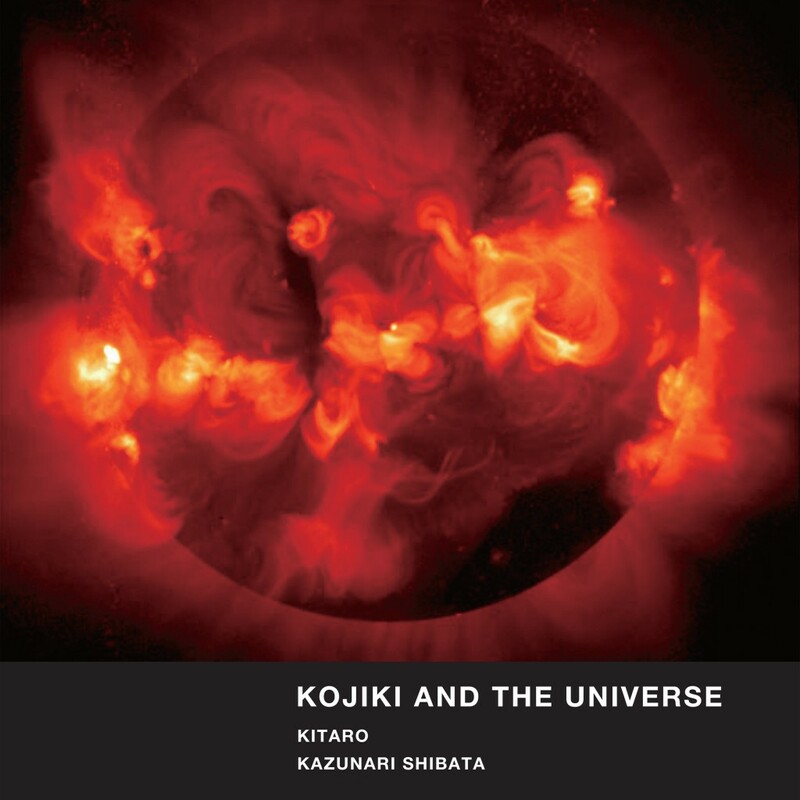 Utilizing Kitaro’s “Kojiki” score as the soundtrack, “Kojiki and The Universe” is a chronicle of astronomical research as well as a beautiful introduction to modern astronomy for everyone. 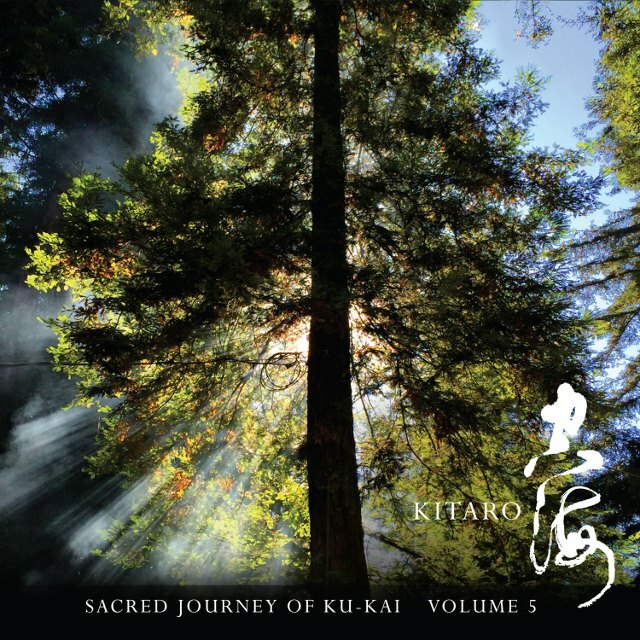 Kitaro receives his 16th Grammy Nomination in the Best New Age Album Category for ''Sacred Journey of Ku-Kai Volume 5'' at the 60th Grammy Awards! 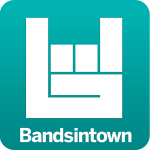 Buy album at $5 by 11/30! 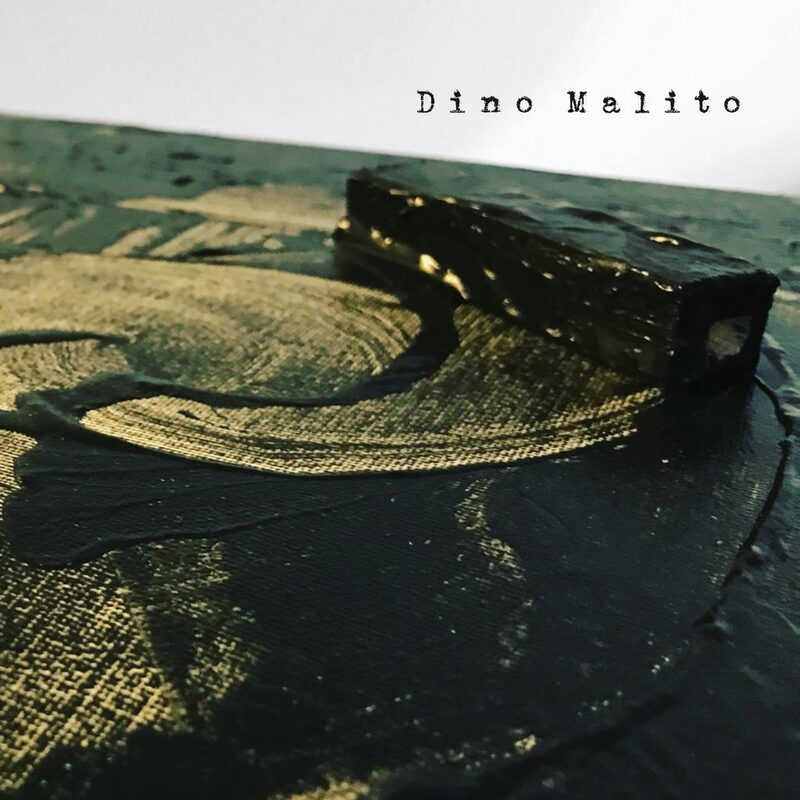 With an eye toward exploration and re-imagination of some of its core catalog, Domo Music Group will release a five song EP by recording artist Dino Malito. The tracks are acoustic versions of early, iconic compositions by New Age Grammy and Golden-Globe award winner, Kitaro. Rather than utilizing an array of synthesizers, as is Kitaro’s trademark style, this EP takes the original music masters on a transformational journey through the use of acoustic guitars, ukulele, mandolin, dulcimer and shamisen textured with David Gilmour-esque guitar leads. Kitaro fans will be comforted to hear some of their most cherished melodies and themes while allowing Malito to bring them on a unique and tasteful voyage that breathes new life into these beloved classics. All songs arranged, performed and produced by Dino Malito. 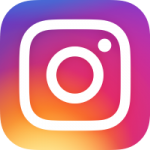 Public Relations : Craig Melone / Hands On P.R.